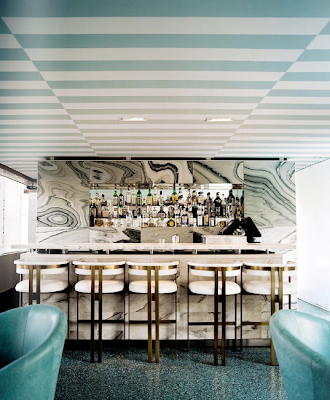 As promised here is a little inspiration board based on the design of the Avalon Hotel bar by Kelley Wearstler (above) as featured in Lonny Magazine's 3rd issue. To begin I'd paint the ceilings in a turquoise and white stripe as shown like in the photo. I'd leave the walls of the room white but paint the moldings in turquoise to add some flair. 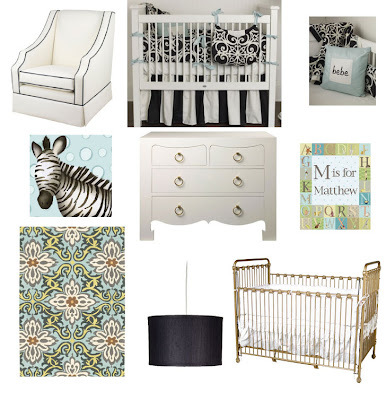 I chose black and white bedding and the zebra print to mimic the black and white marble found in the bar and the gold iron crib because of the bar stools. Since most of the furniture in the lobby area of the hotel is upholstered leather, why not pick a glider in soft faux leather? I would though customize the trim in turquoise instead of the color shown below. The rug plays off the colors in the artwork and keeps the room from looking completely black, white, gold, and turquoise. (The colors also match the colors of the bottles in the bar in the photo.) 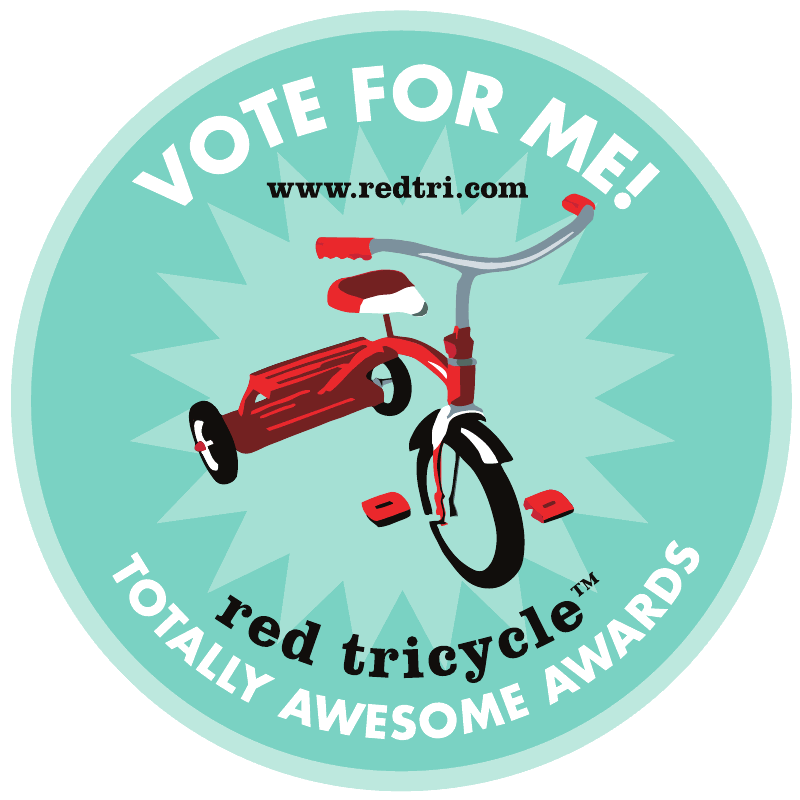 This design would work well for a boy or girl's room. 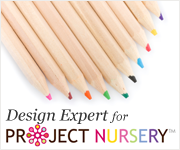 If you are interested in the details for the items featured in the inspiration board and paint color suggestions please contact me at nurserynotations@gmail.com.